The city of Lexington, in the state of Kentucky, is known for its friendly, small-town atmosphere. With an important equestrian history, Lexington is home to the notable University of Kentucky (UK) and a thriving thoroughbred horse-racing industry. Lexington's many tourist attractions are often situated on the city's outskirts and the surrounding, lush countryside offers beautiful rolling hills and a number of Lexington's famous horse farms, particularly around Paris Pike and Old Frankfort Pike areas. Outside of Lexington are some of the area's oldest and most historic towns, just a short trip from the center of Lexington. 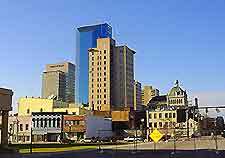 Tourism in the Lexington area is becoming an increasingly significant part of city life and tourists are welcomed. The main tourist information center in Lexington is the Visitors Center on West Main Street, which is open from Monday through Saturday throughout the year. Housing a range of tourist information about the region, Lexington's Visitors Center offers tourism advice about the best places to stay and eat, things to see and do, and current events and festivals. Many hotels in Lexington are centered around the downtown district, with a good selection of accommodation available, including family run friendly inns, guesthouses and modern hotels. Further hotels can be found around Lexington's northern and western areas, around the University of Kentucky and close to Lexington's nearby Blue Grass International Airport (LEX). More information about Lexington Hotels. Lexington features many tourist attractions, including Kentucky Horse Park - with many museums, theaters, galleries and over 50 breeds of horses; Applebee's Park - a multi-million baseball park in Lexington which features many games and major city events; McConnell Springs - a nature reserve that was originally home to the early settlers of Bluegrass; and Alltech's Lexington Brewing Company - a famous institution in the Lexington area, with regular guided tours. 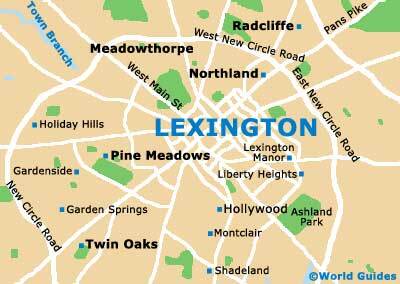 More information about Lexington Tourist Attractions. 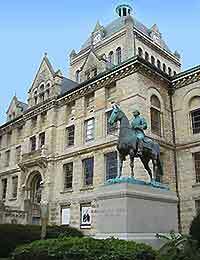 Some of Lexington's best museums and art galleries include the University of Kentucky Art Museum - the premier art gallery in Lexington; ArtsPlace - providing a variety of art collections and an area for local musicians and dancers; Lexington's Ashland, the Henry Clay Museum - a spectacular 20-acre residence; the Headley Whitney Museum - housing a magnificent rare art collection; and the American Saddlebred Museum - featuring a wide selection of displays and memorabilia on Kentucky's native breed of horse. 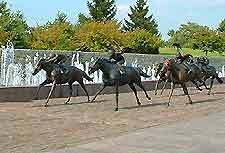 More information about Lexington Museums and Art Galleries.